If you would like to switch from a carburetor intake to electronic fuel injection (EFI), Accufab has developed two high flow throttle bodies to meet your needs. The Accufab 4150 and 4500 throttle bodies are made from high quality billet aluminum and then polished to a mirror finish or anodized black, blue or red. Each throttle body is 2 inches high from the base to the top. We sell air filter spacers to raise the filter mounting location higher, and spacers between the throttle body and intake manifold. The throttle linkage extends about 1/2" above the lip. The ultimate in big bore four barrel EFI performance parts. Feel the Power. If you would like to switch from a carburetor intake to electronic fuel injection (EFI), Accufab has developed two high flow throttle bodies to meet your needs. 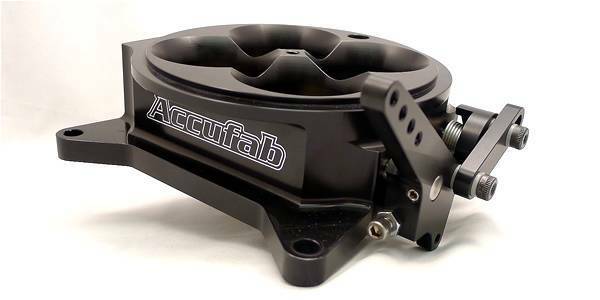 The Accufab 4150 and 4500 throttle bodies are made from high quality billet aluminum and then polished to a mirror finish or anodized black, blue or red. Better Air Flow for More Power. The Accufab 4150 flows 1215 CFM and has four 1-3/4" brass throttle plates. The Accufab 4500 flows 2128 CFM and has four 2-1/4" brass throttle plates. Exceptional Quality. 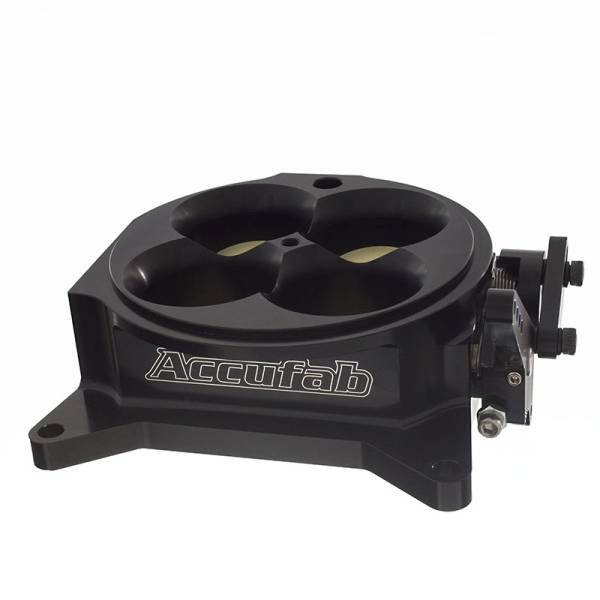 The Accufab 4150 and 4500 throttle bodies are made from high quality billet aluminum and then polished to a mirror finish or anodized black, blue or red. Accufab's quality is second to none. Only the best components are used for unparalleled reliability and performance. Manufactured in the USA. Both styles use late model GM electronics (TPS and IAC) which are included. 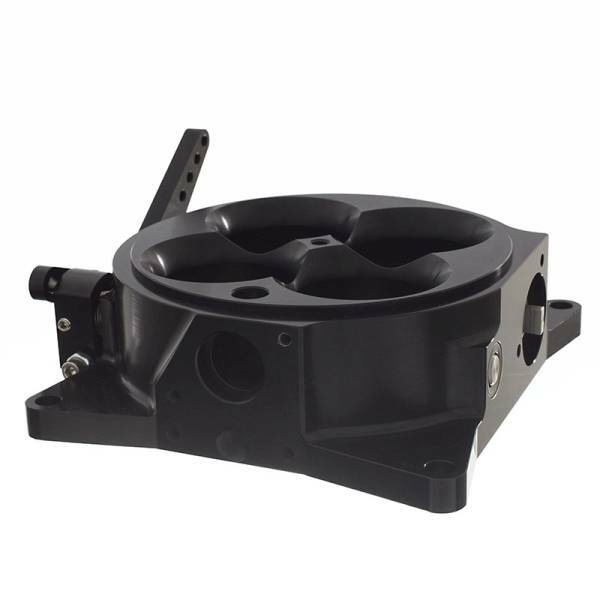 The 4150 and 4500 throttle bodies come standard with progressive linkage. Also, we offer an idle air control block off. It is available polished or anodized black, blue or red.